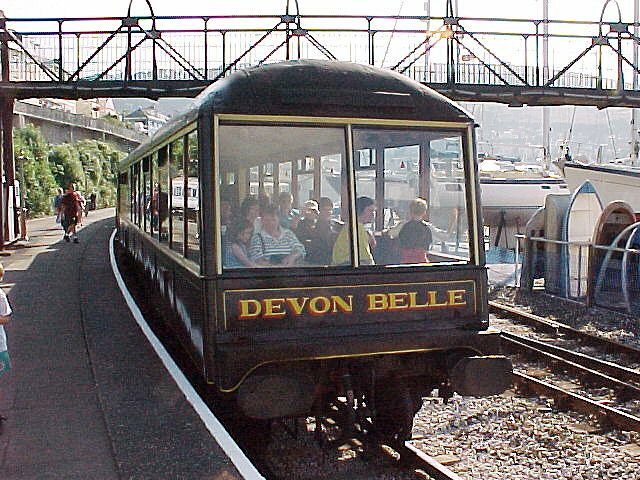 The Devon Belle observation car provides a panoramic view of the Dart and Torbay - and is shown here at the head of the train at Kingswear. The car was built in 1921 and formed part of the Pullman 'Devon Belle' service from Waterloo to the north Devon coast. It is now available to all for a small supplementary charge.